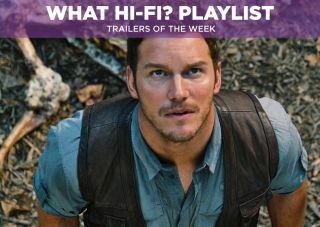 Trailers of the Week: Star Wars: The Force Awakens, Jurassic World & Kingsman: The Secret Service | What Hi-Fi? And don't forget to check out our dedicated Twitter account @WHFPlaylist for all our Playlist reviews of music, movies, TV shows and games, the latest news and the occasional competition. It's the turn of another old franchise being rebooted this week, as Jurassic Park morphs into Jurassic World. Will it surprise in the same way as the original did all those years ago? Time will tell, but with man-of-the-moment Chris Pratt in it, it certainly has a chance to be better than the more recent Jurassic films. "Give me a far-fetched theatrical plot any day." It certainly looks as if the latest film from Matthew Vaughn (X-Men: First Class, Stardust) will have its tongue firmly planted in its cheek with this new trailer showcasing more of the (over-the-top) action and introducing the world the film exists in. Looks like good fun.